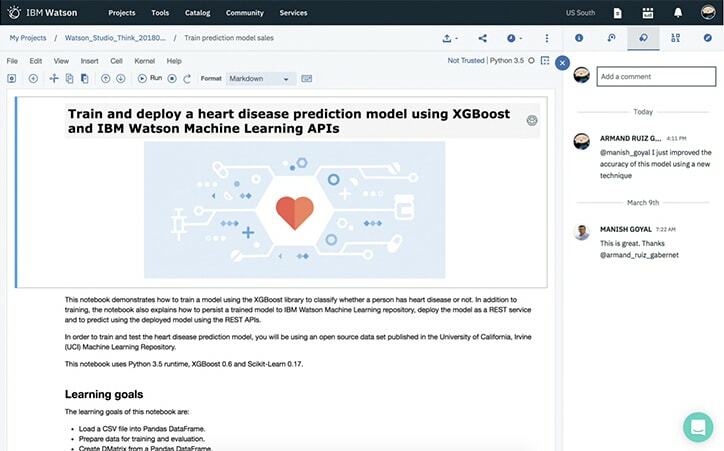 Together with IBM Watson Machine Learning, IBM Watson Studio is a leading data science and machine learning platform built from the ground up for an AI-powered business. It helps enterprises simplify the process of experimentation to deployment, speed data exploration and model development and training, and scale data science operations across the lifecycle. 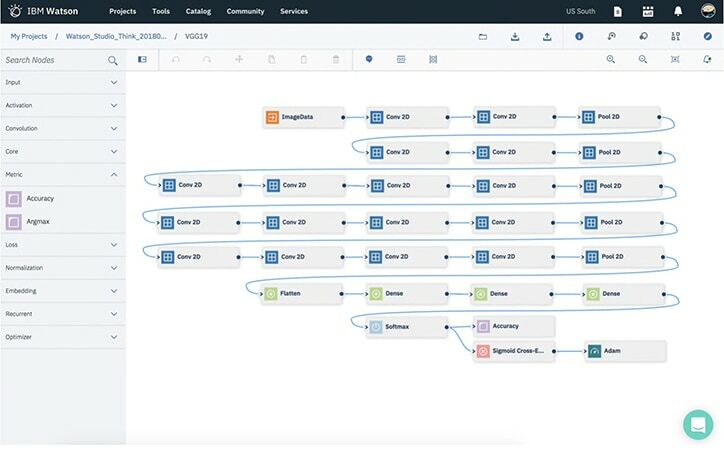 IBM Watson Studio empowers organizations to tap into data assets and inject predictions into business processes and modern applications and then optimize business value with visual data science and decision optimization. It's suited for hybrid multicloud environments that demand mission-critical performance, security and governance — in public clouds, in private clouds, on-premises and on the desktop, including IBM Cloud Private for Data. Quickly get started and train your models on IBM Public Cloud. Prepare data and build models on your desktop with visual drag and drop tools. Train models behind your own firewall or on IBM Private Cloud. Learn how IBM Watson Studio and Watson Machine Learning can help transform business processes and modernize operations with AI initiatives. Understand how to optimize customer experience metrics with 12 AI-enabled use cases laid out by Forrester. Explore key use cases for AI-powered customer growth, why they are important, and how to put them into production to drive value fast. Schedule a one-on-one consultation with IBM data science experts. Use open-source tools like Jupyter Notebooks, combined with collaborative project features, like programmatic access and version control, to fine-tune your parameters until you find your ideal model for production. Explore data and use machine learning with drag-and-drop tooling from SPSS Modeler - a new look for the classic tool. Visually program for deep learning with an intuitive drag-and-drop, no-code interface in Neural Network Modeler. 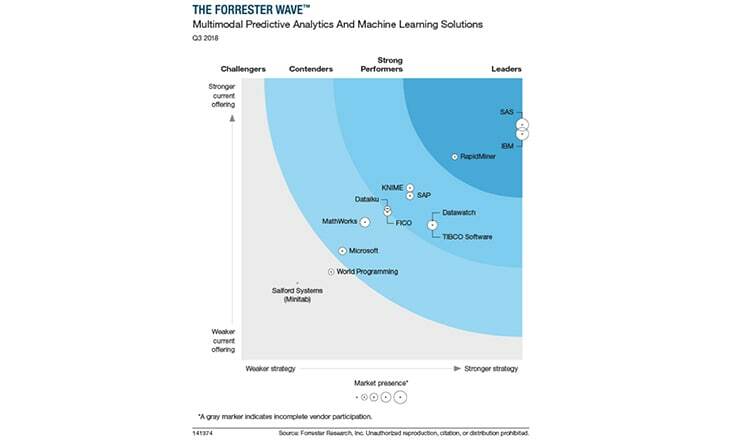 Forrester™ ranks Watson Studio as the leader in predictive analytics and machine learning. Trust and transparency capabilities for AI on the IBM Cloud™. Build and deploy models using data on the desktop for anytime, anywhere access. Use your data to create, train and deploy self-learning models. Leverage an automated, collaborative workflow to build intelligent applications. Design and deploy deep learning models using neural networks, easily scale to hundreds of training runs. Get predictive analytics to uncover data patterns, gain predictive accuracy and improve decision making. Combine optimization and machine learning techniques in a unified environment to build the optimal action plan and meet business goals. 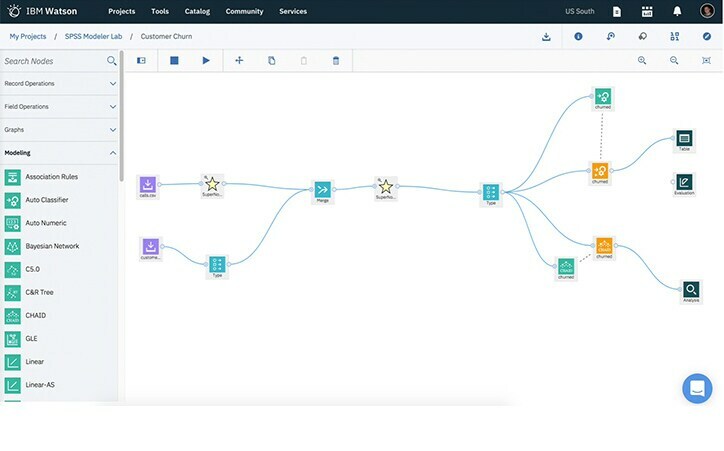 Enjoy a seamless API integration that connects IBM Watson Studio data to Figure Eight’s human-in-the-loop platform. Watson Studio leverages the ArcGIS platform to quickly integrate maps, global data and advanced geospatial analytics. Combine robust and reproducible data analysis with tools to effectively share data products on an open source and enterprise-ready platform. Take advantage of machine learning and AI tools to analyze your data.